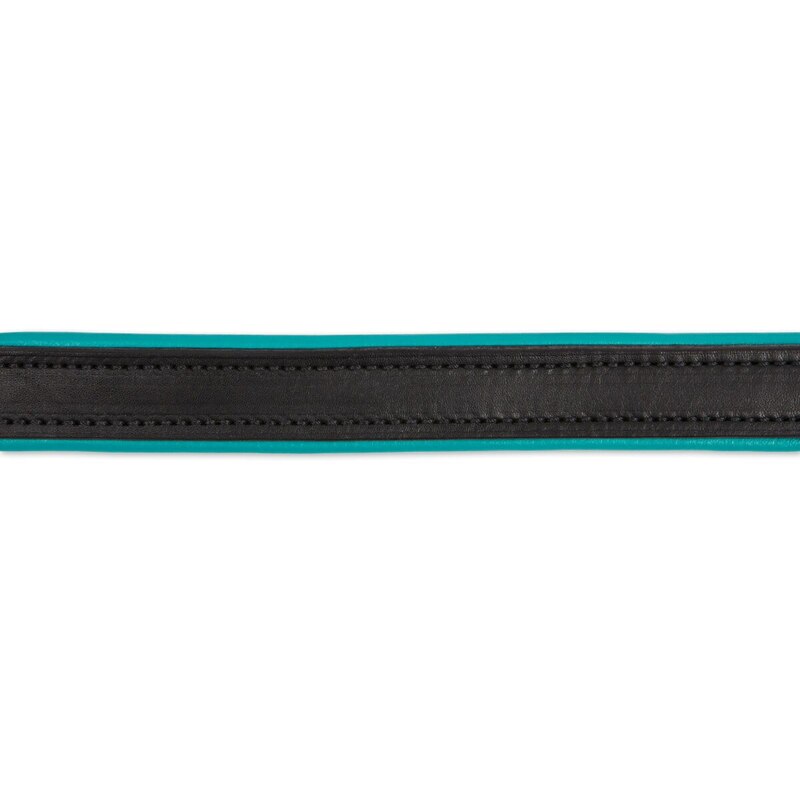 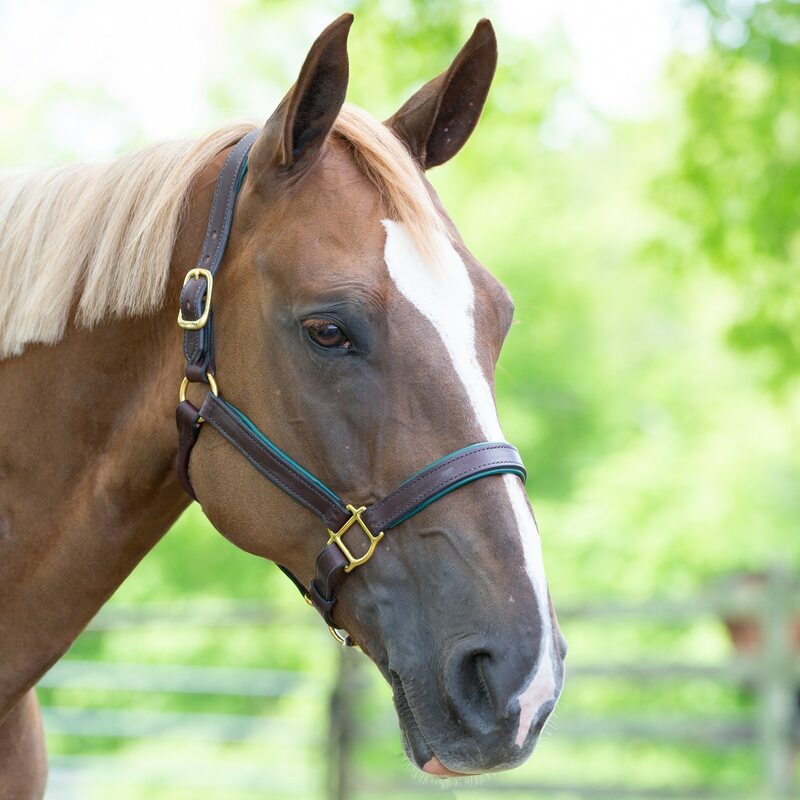 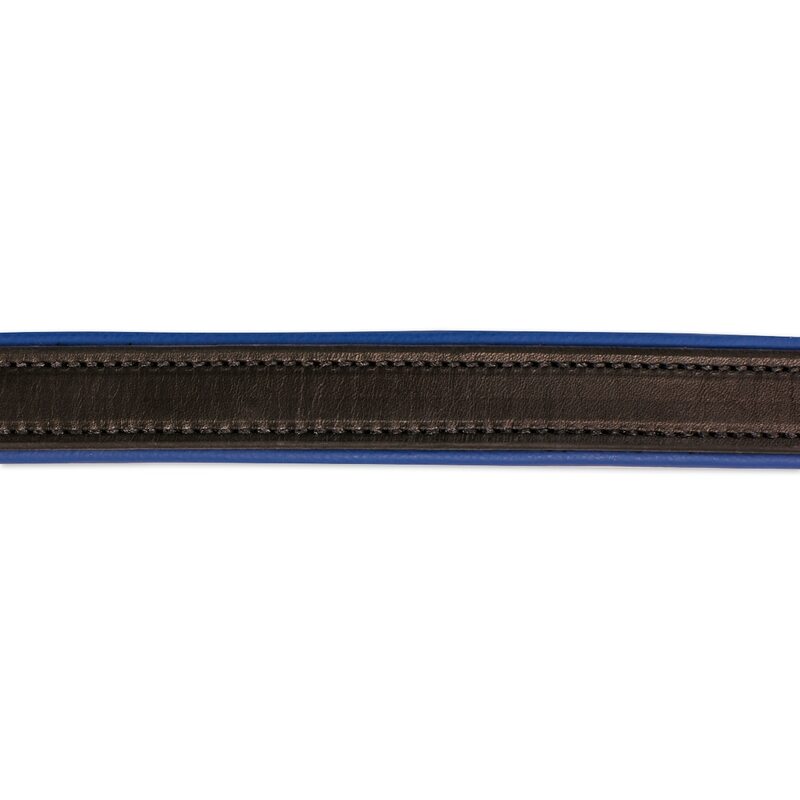 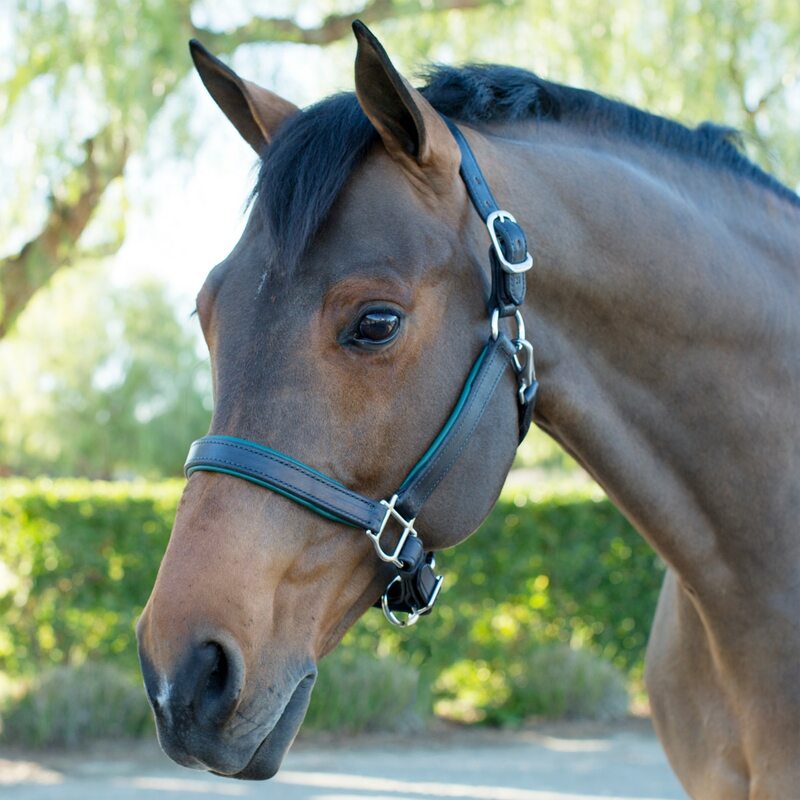 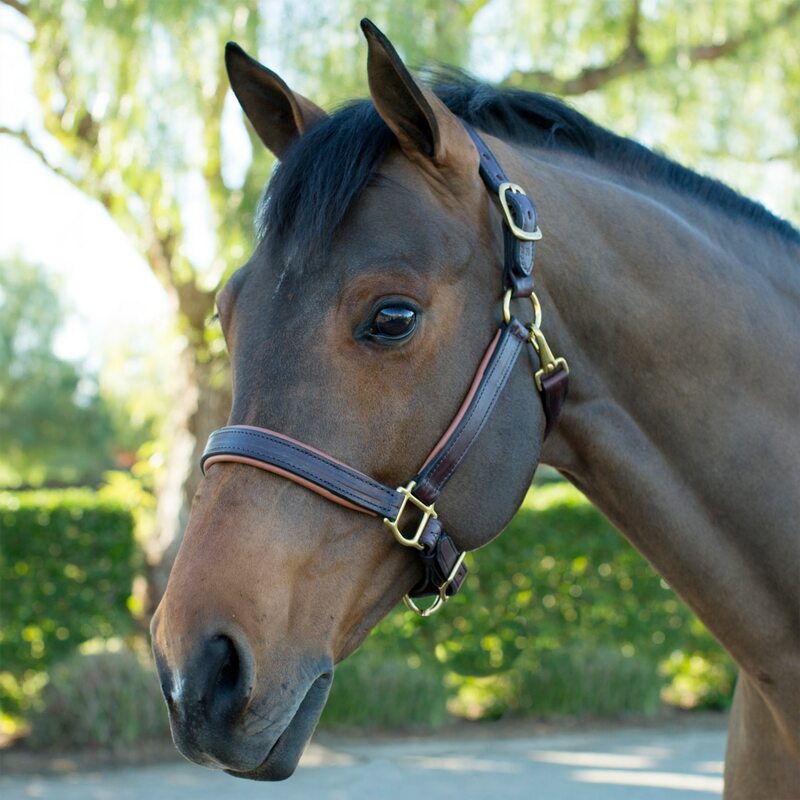 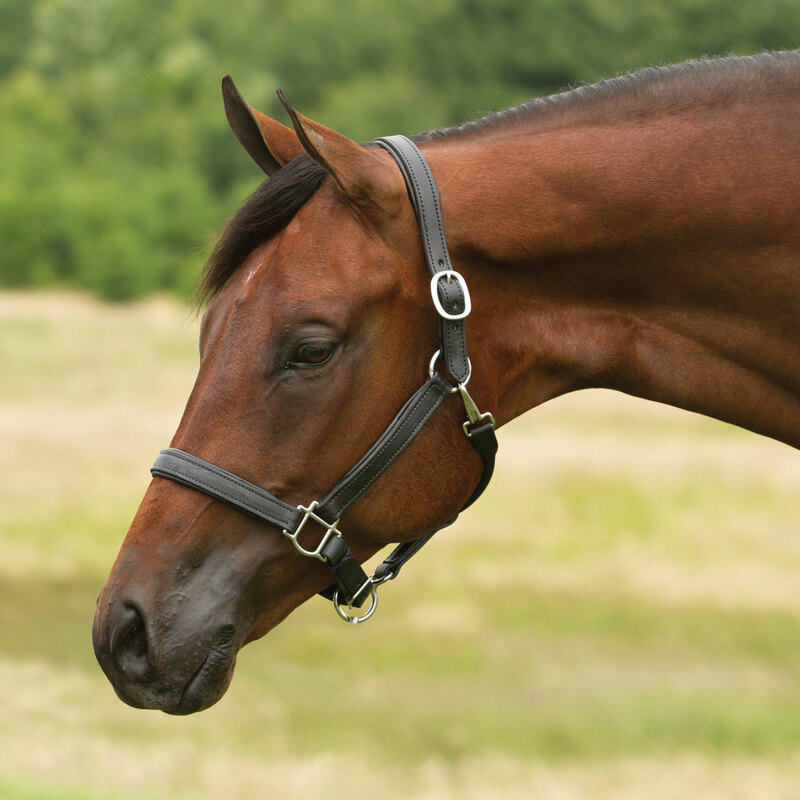 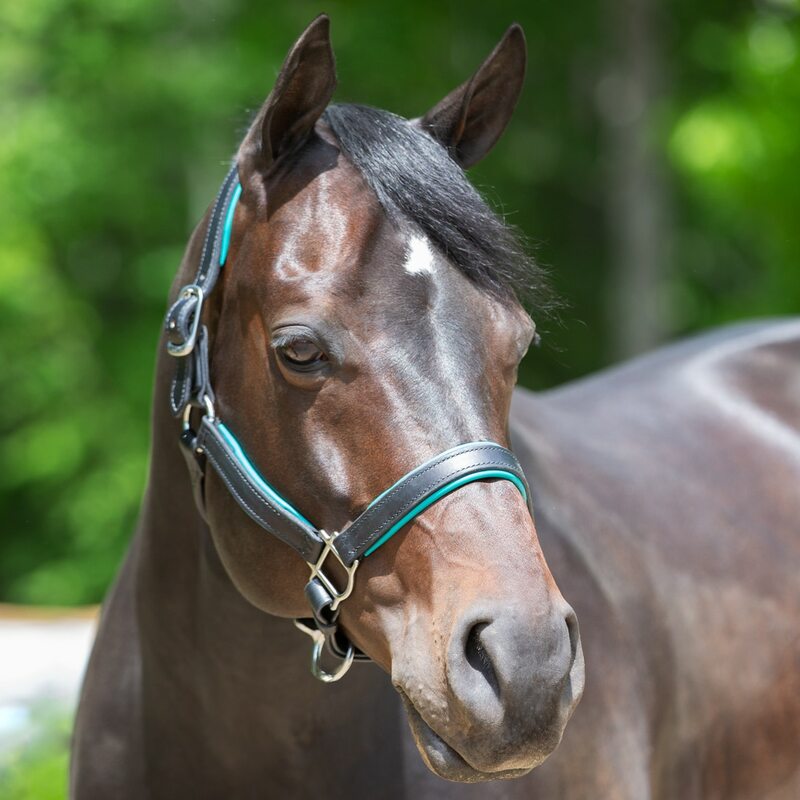 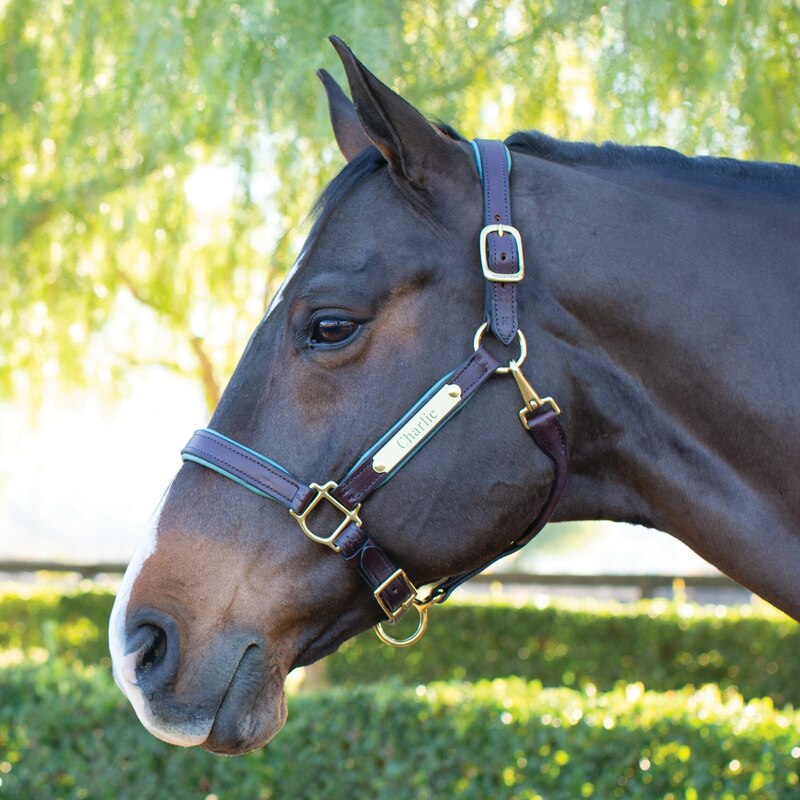 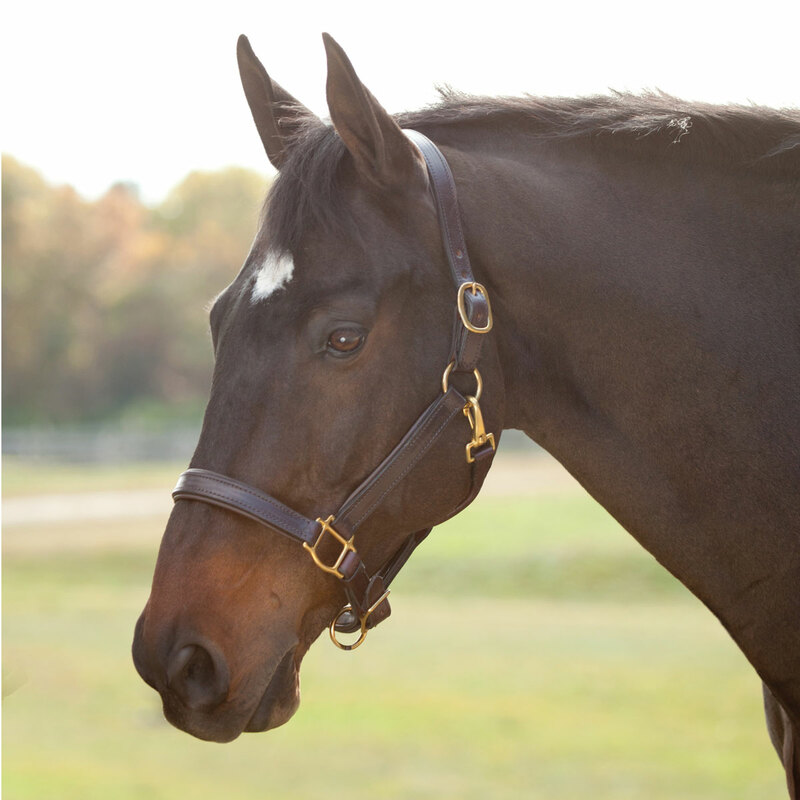 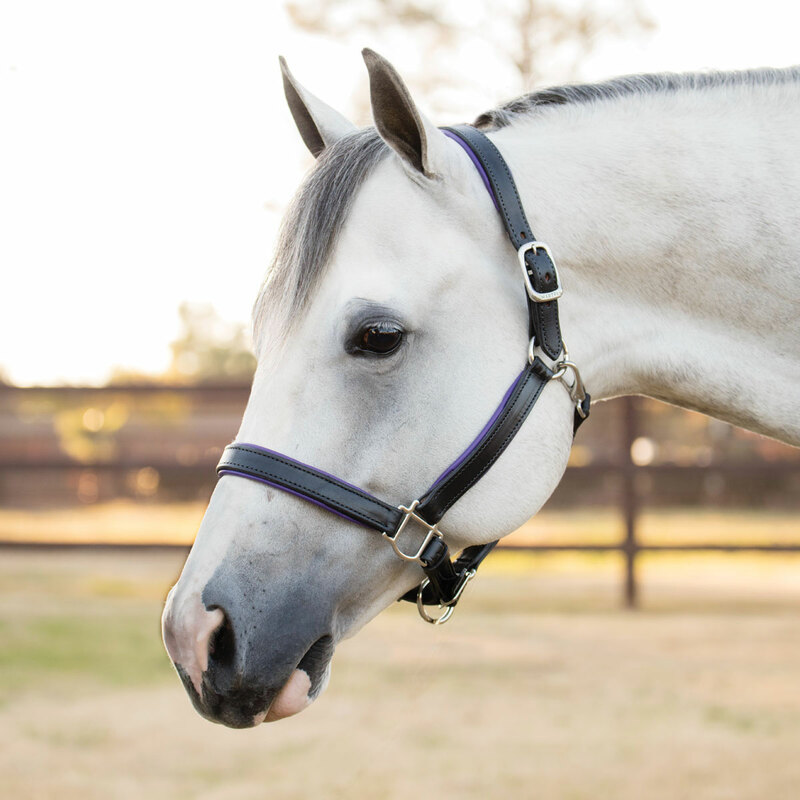 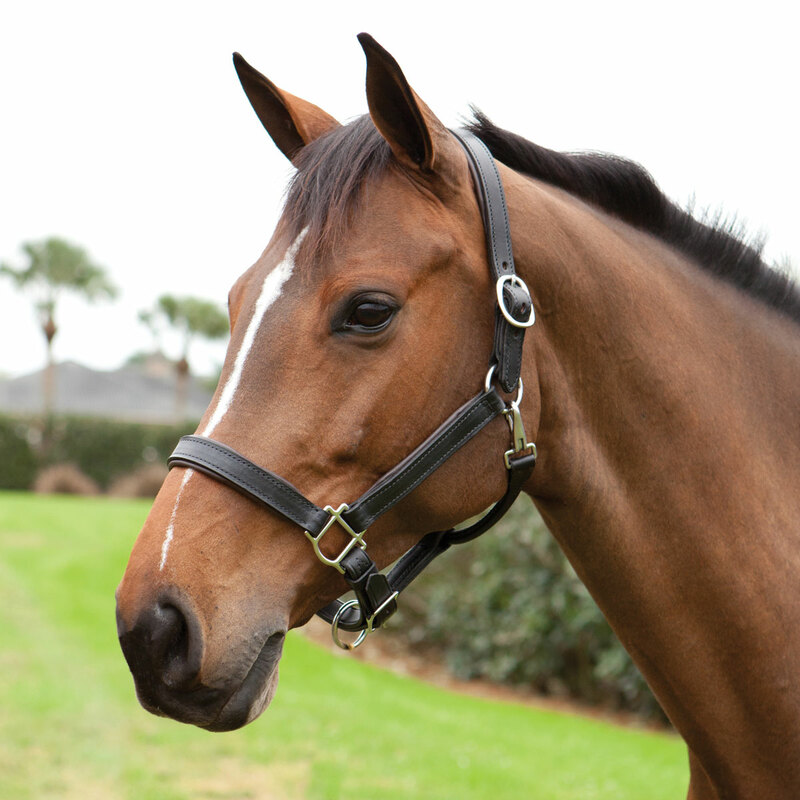 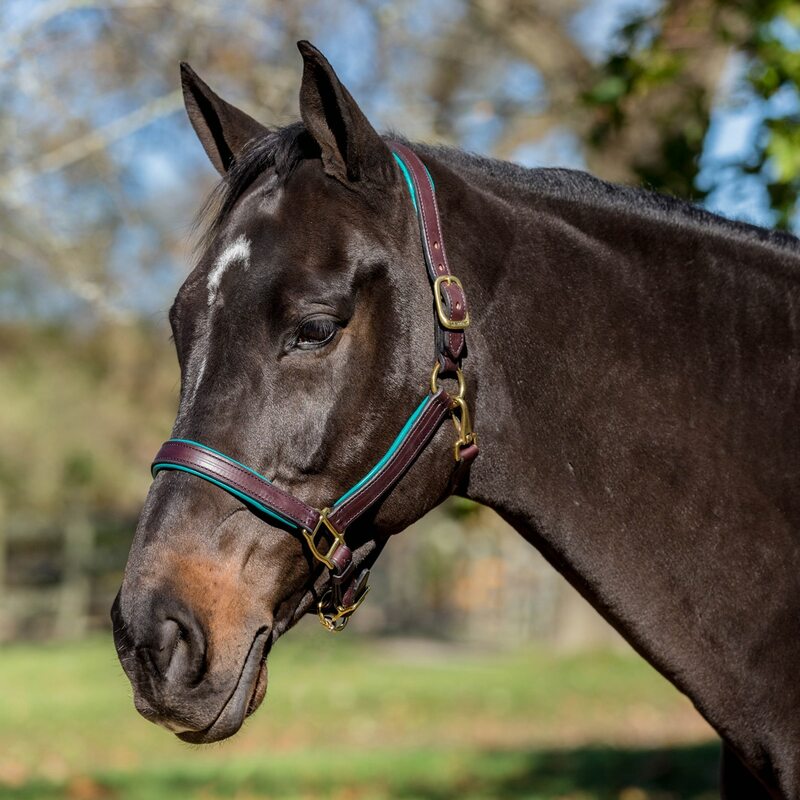 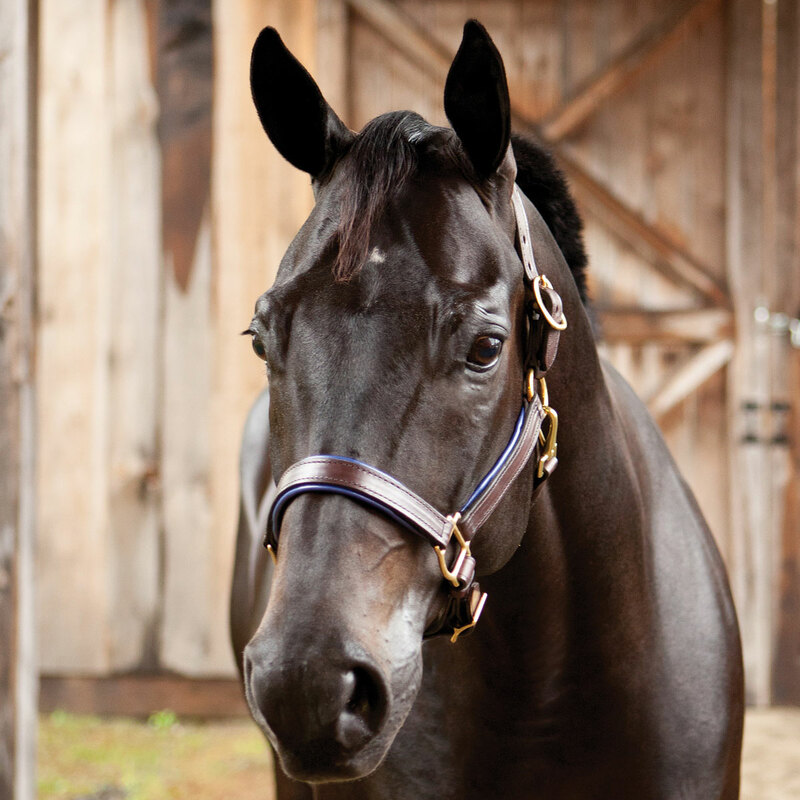 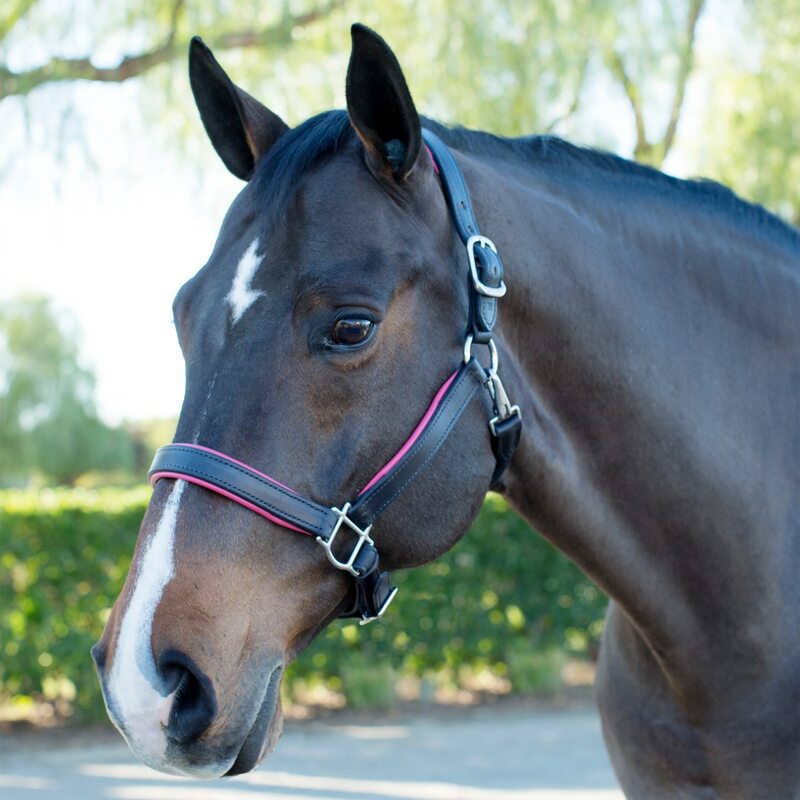 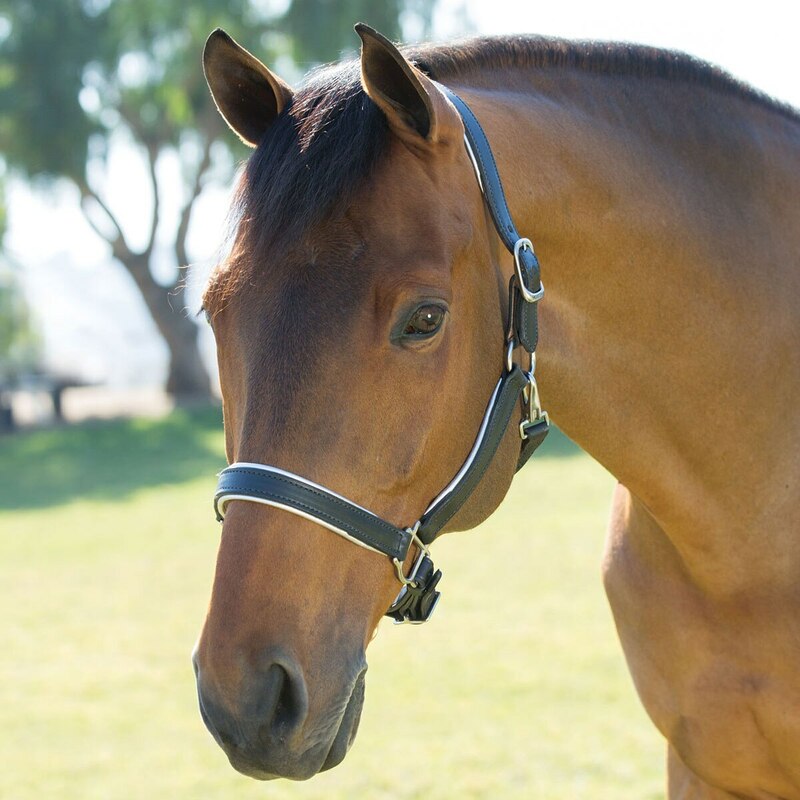 Show off your horse’s style with the SmartPak Soft Padded Leather Halter. 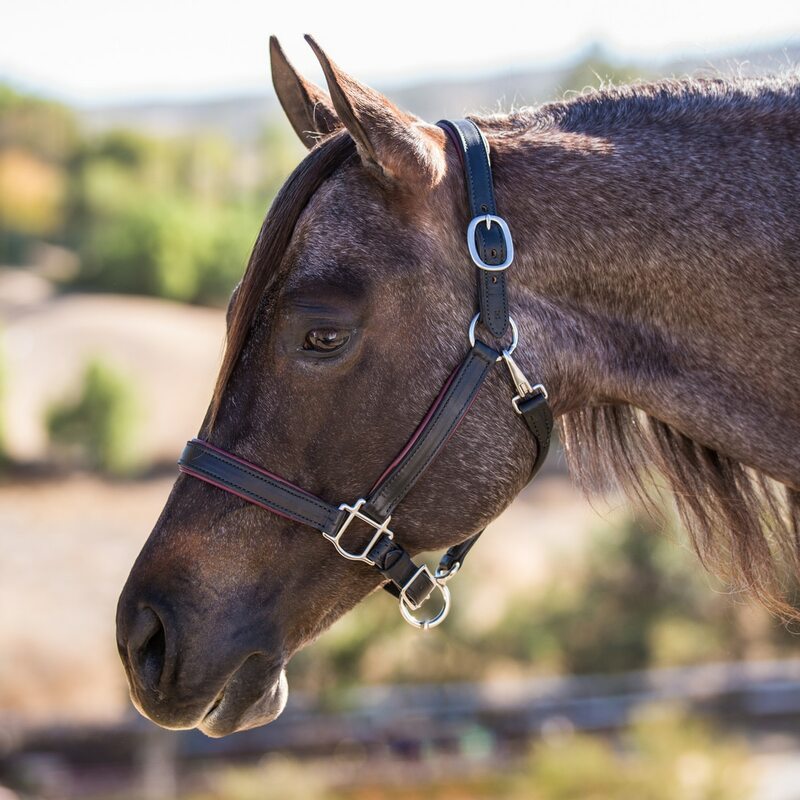 Each halter is handmade by skilled Amish craftsman of the highest quality leather with durable, stylish hardware. 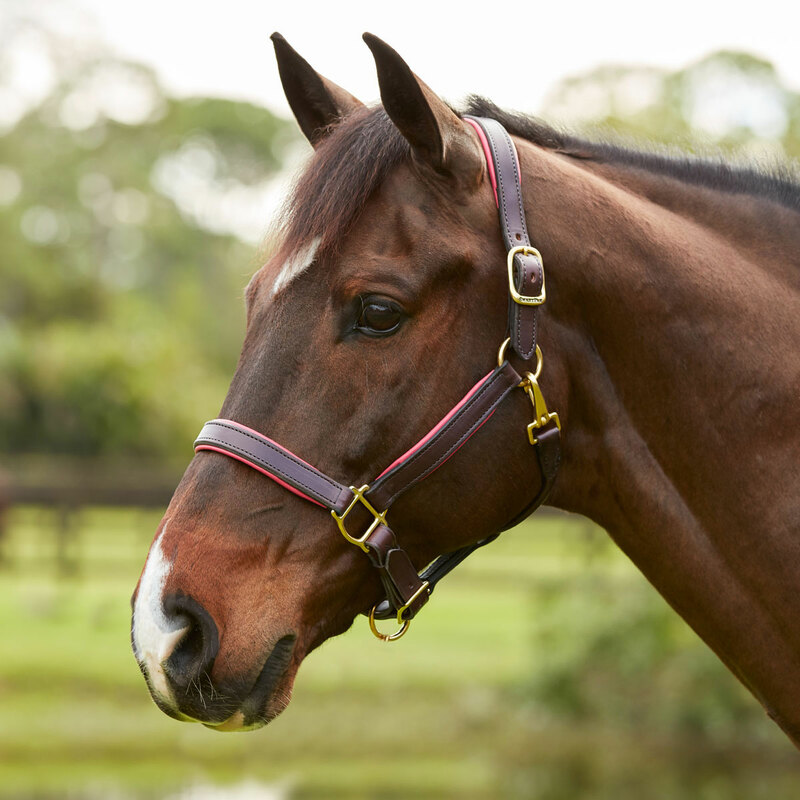 Havana halters have solid brass hardware while black halters have stainless steel hardware. 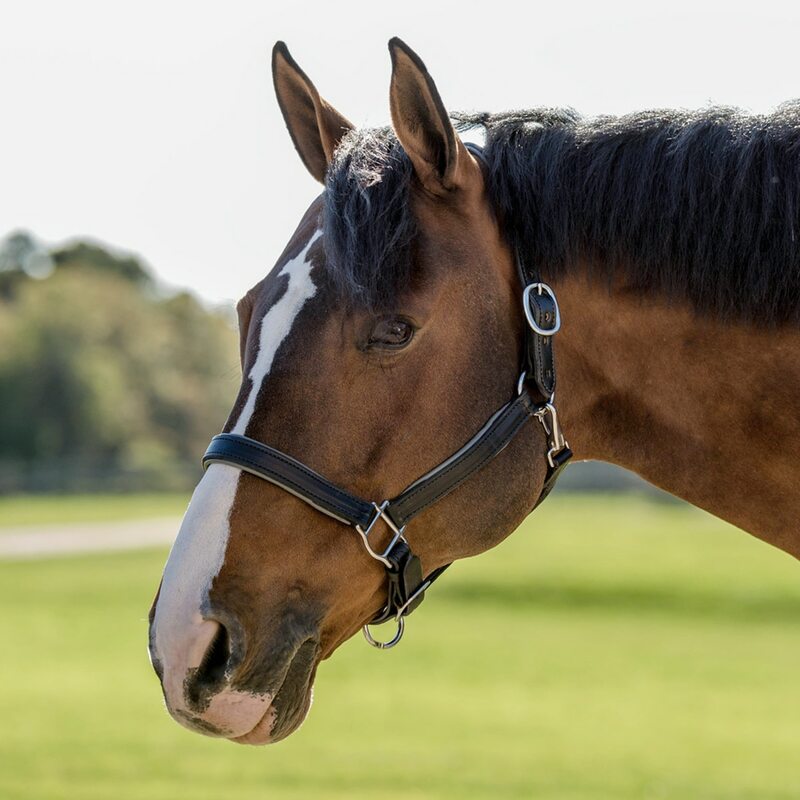 Contrasting soft padding on the 1” double-stitched noseband, cheek pieces, and crown piece prevents rubbing or uncomfortable pressure on sensitive areas. 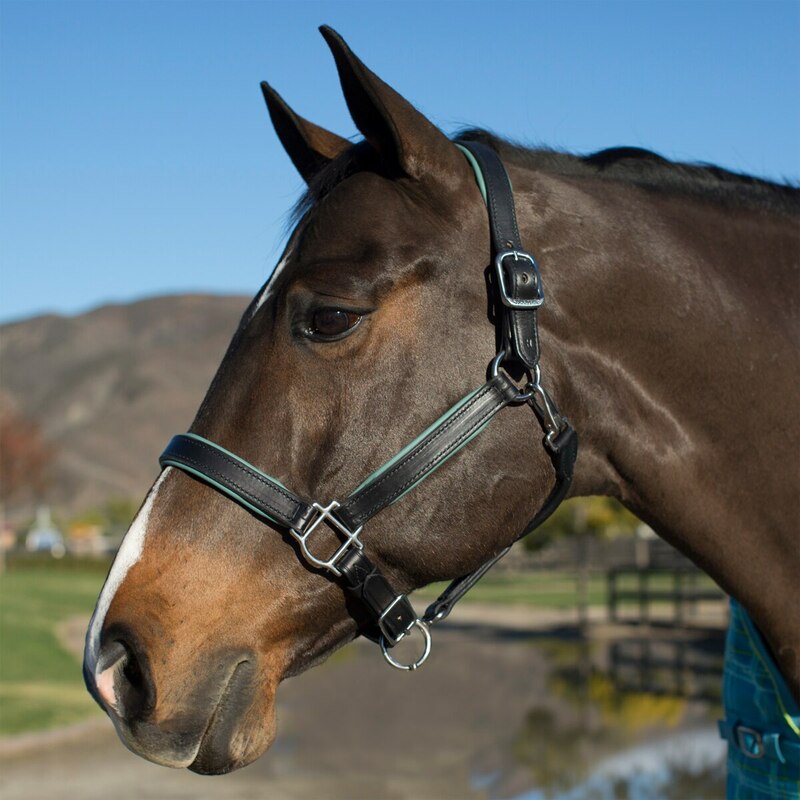 An adjustable chin strap and crown piece allow for a customized fit. 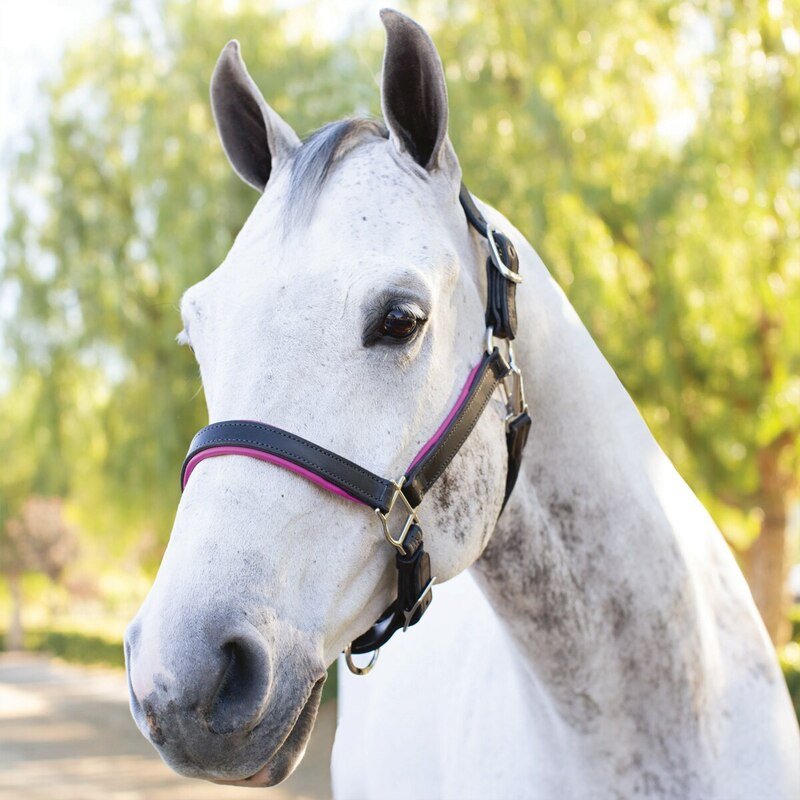 Choose from a variety of colors to coordinate with your barn colors, personal style, or other SmartPak gear like saddle pads and Piper Breeches. 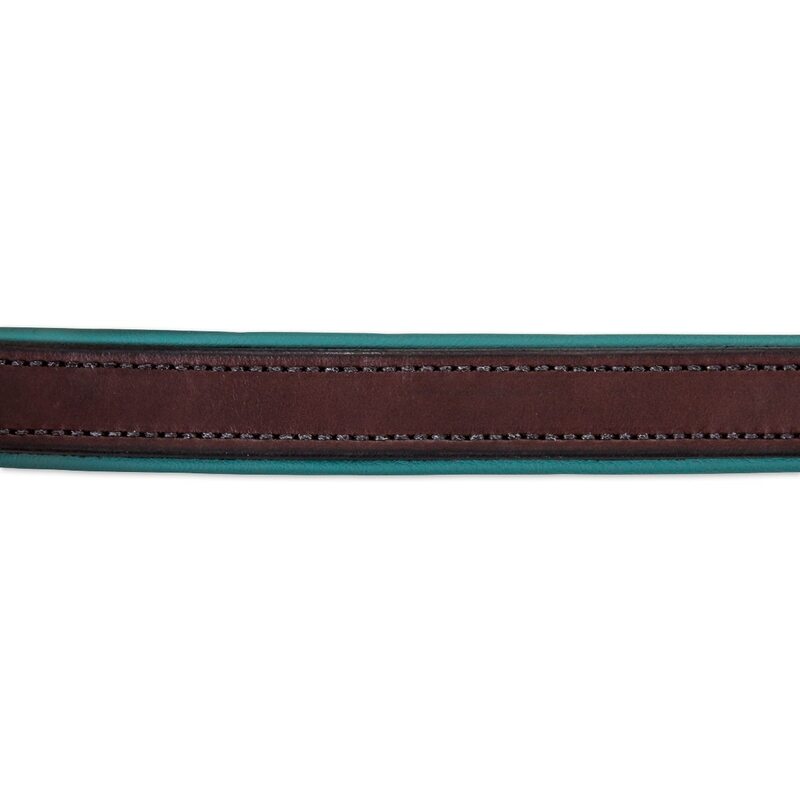 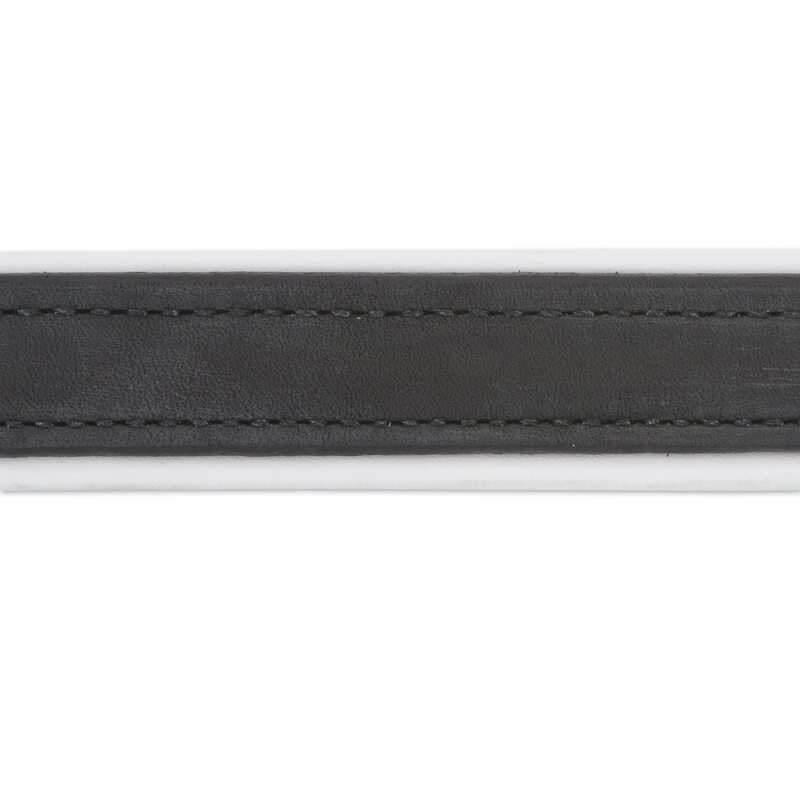 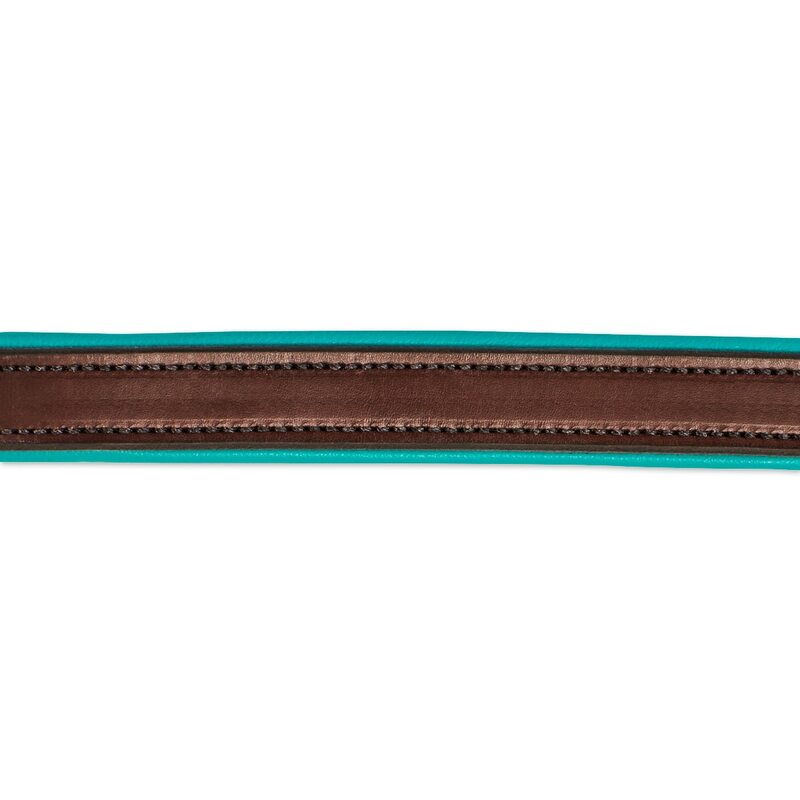 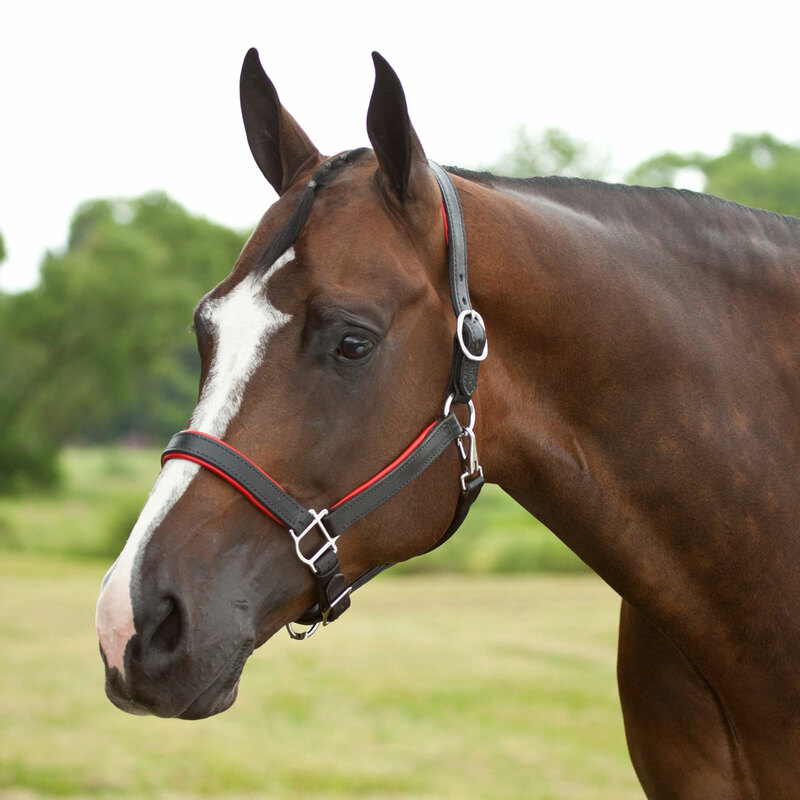 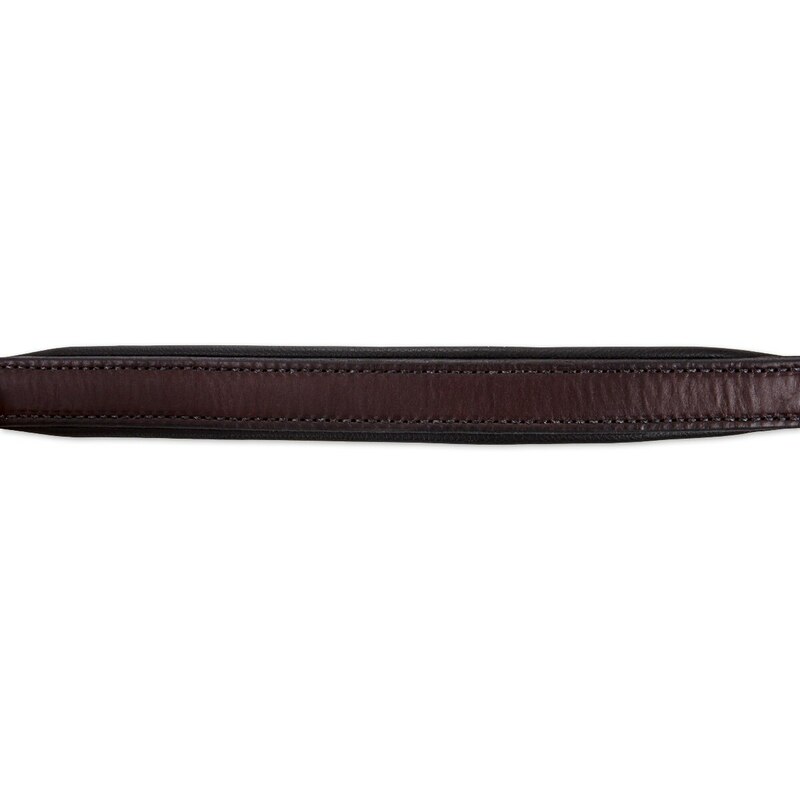 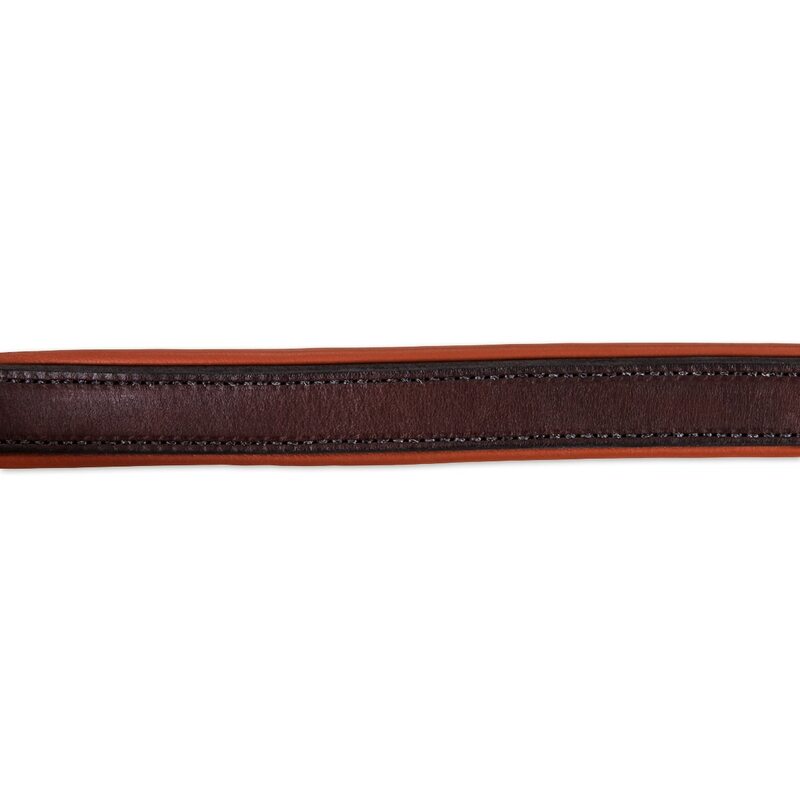 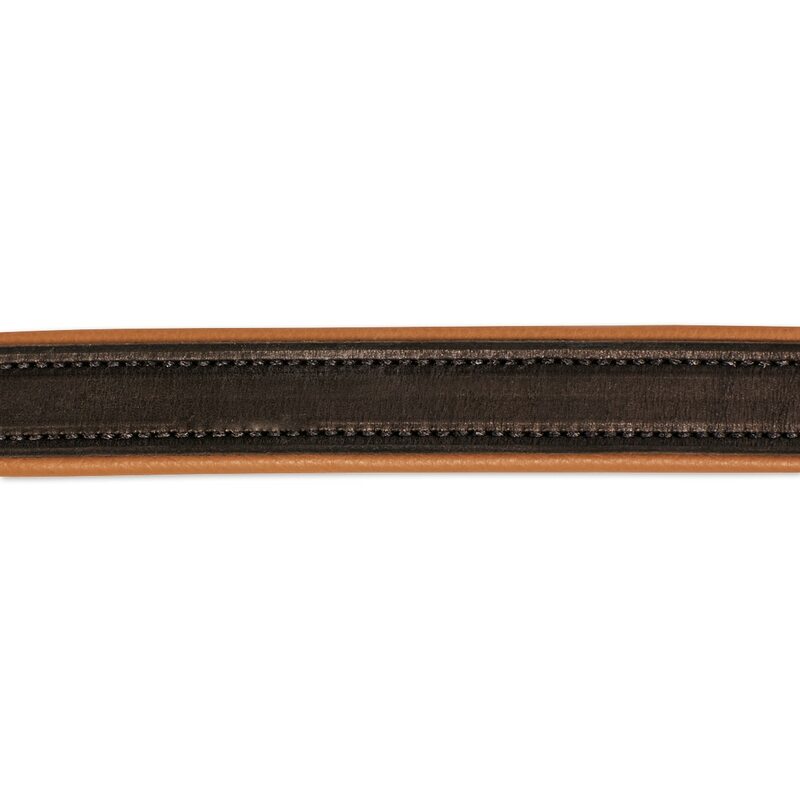 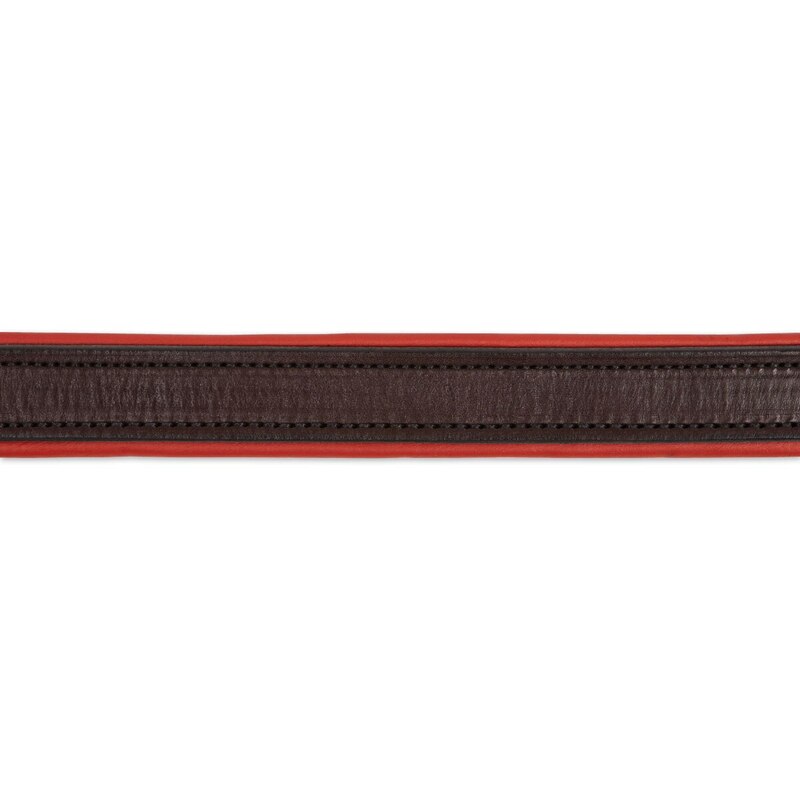 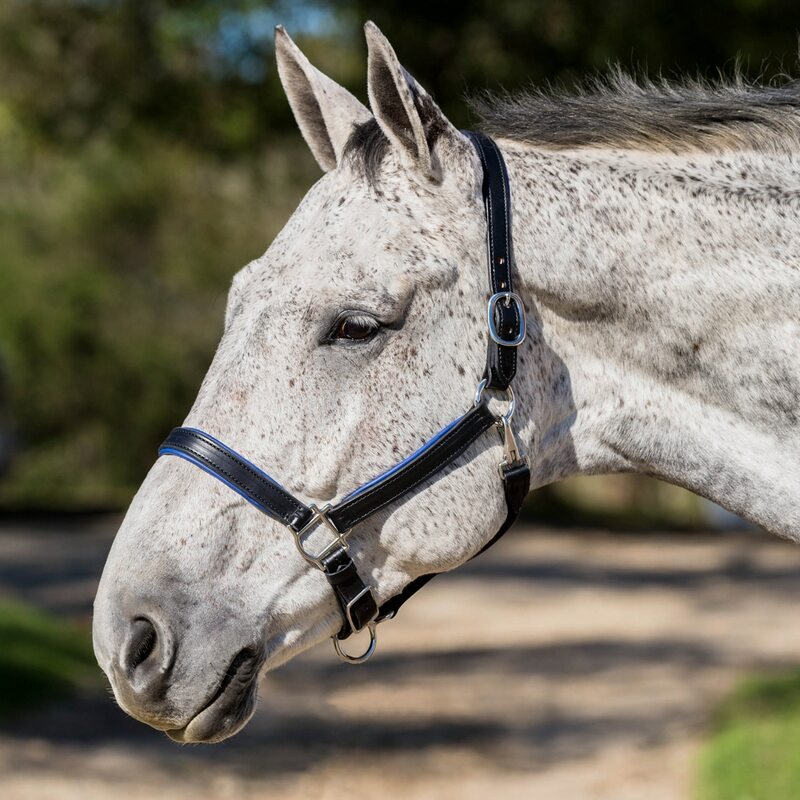 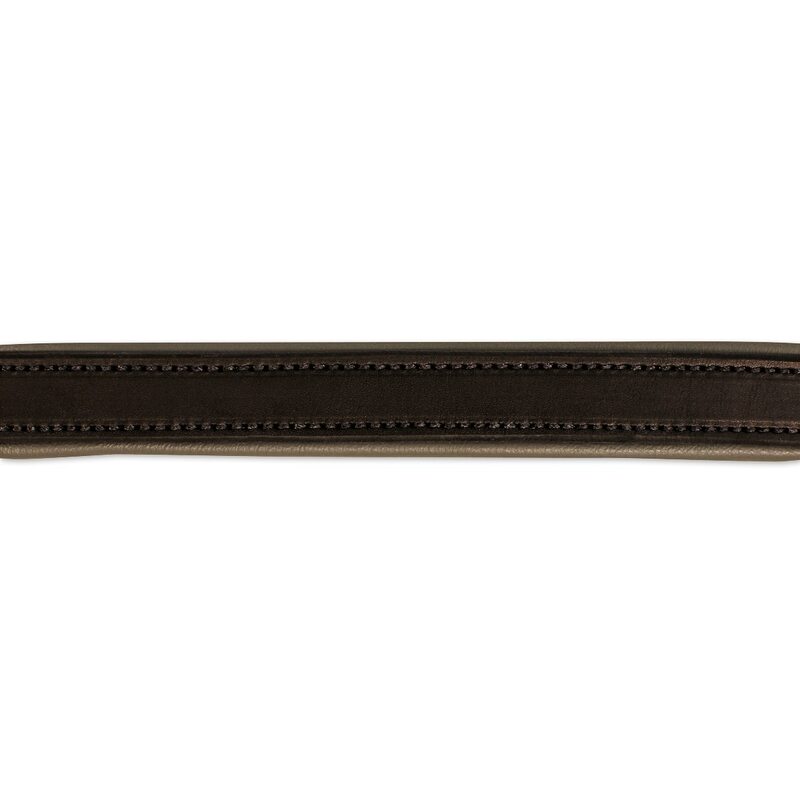 Don't forget the matching Padded Leather Lead w/ Chain to complete your horse's look! 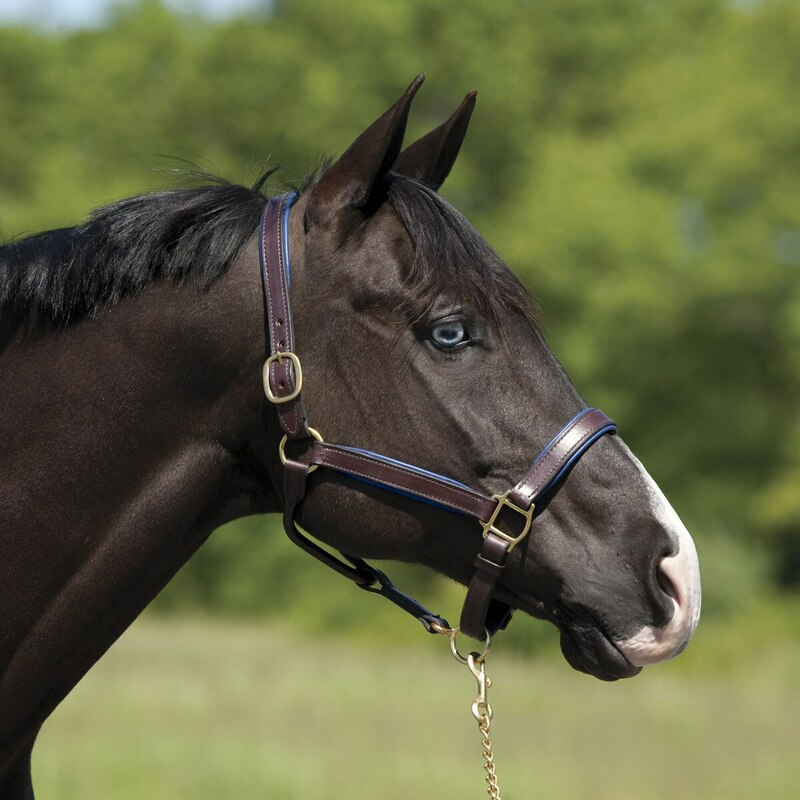 Pony: Noseband: 12" Chin: 10" Cheek pieces: 6"
Horse: Noseband: 25.5" - 27.5" Cheek pieces: 7.75"
Oversize: Noseband: 27" - 29" Cheek pieces: 8.25"
SmartPak Soft Padded Leather Halter is rated 4.9 out of 5 by 436.